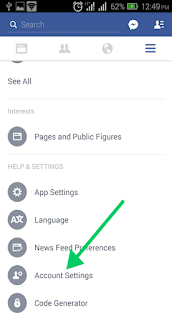 The steps involved when you want to check the Support Inbox of your Facebook account with the Facebook android app is quite simple. We estimate it to be just three tap on the app. Here is what you need do. 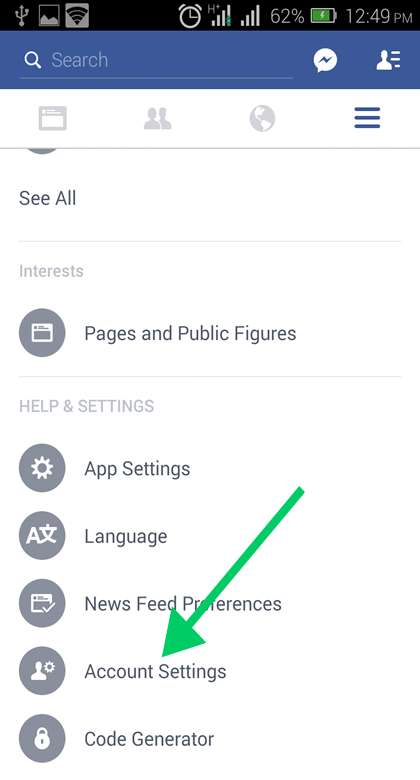 Open the Facebook android app you are logged into, and tap the Navigation drawer icon to the list of option in the navigation drawer. 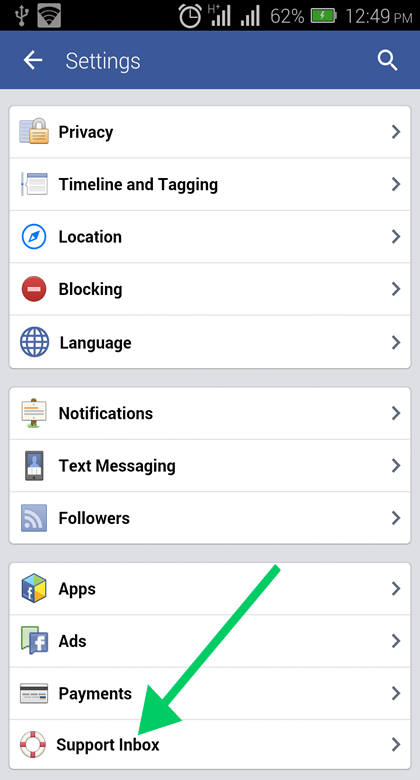 Scroll down to HELP & SETTINGS section of the Navigation drawer and tap on Account Settings. When the Account Settings screen opens, scroll down and you will see Support Inbox as the last option. Tap on it to open and check your Support Inbox. Join our newsletter from more. SpyBubble helps monitor your child’s Facebook in order to make sure that he doesn’t get into troubles. 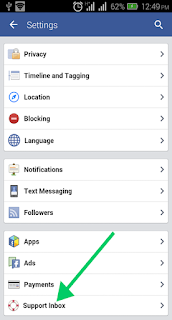 Click spy on someones facebook mobile reviews for more details! I'm trying to contact with support but I can't. In my support inbox there is shown 6 notification but I'm unable to read these. When I click at Support inbox a blank page is shown rapidly. What is the solution. would someone can answer me? Baktear Mohammed Amran, please be inform that the Facebook Support Inbox is used by Facebook to contact you only. 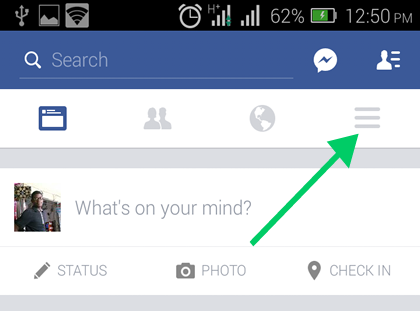 If you wish the contact Facebook, you are to use the REPORT feature and not the Support Inbox.